The Best of Teacher Entrepreneurs II: Language Arts Lesson - "Reading Comprehension Units Bundle"
Language Arts Lesson - "Reading Comprehension Units Bundle"
Save time and money when buying this bundle! 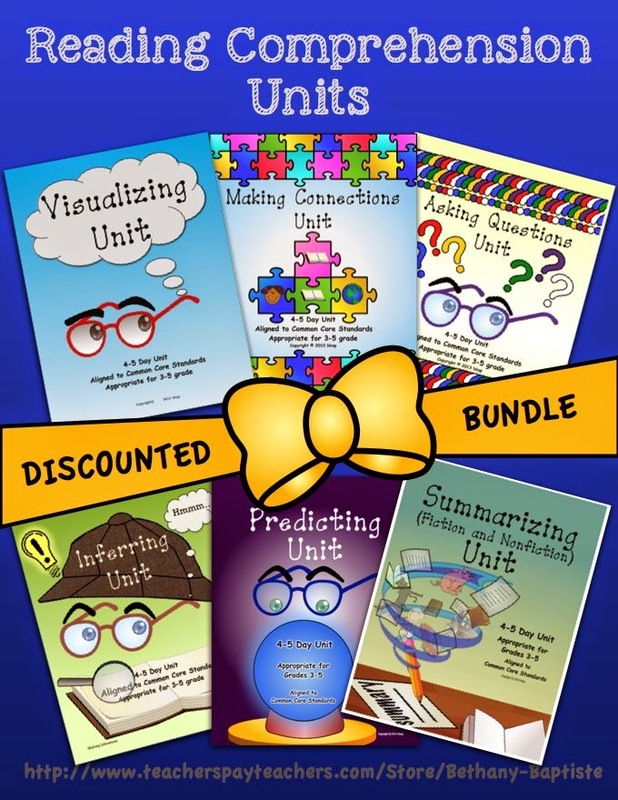 This bundle includes six engaging 4-5 day units to guide your readers to master the comprehension strategies of visualizing, making connections, asking questions, inferring, predicting, and summarizing. The units are most appropriate for grades 3-5 and are aligned to Common Core State Standards. Students will enjoy bringing reading to life while practicing these strategies and then applying them to their own reading materials! Check out the unit descriptions, previews, and buyer feedback in my store!